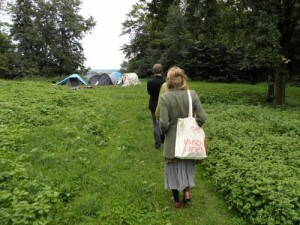 Trümmer is a walkable audio-piece. 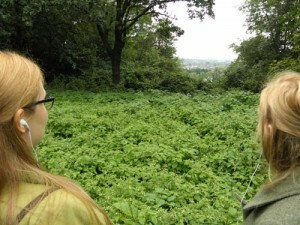 The participants walk with an one-sided earphone and a mp3-player on the Muellberg in the german city Moenchengladbach. They listen to a quote from the utopian text „The City of the Sun“ by T. Campanella. The Muellberg is located on the Kaldenkirchenerstrasse and was a space for trash and wreckage.